The average athletic scholarship totals just $10,400. If your child dedicates 40 hours per week to sports for the 30 weeks of the school year, she’ll be making just $8.60 per hour. Tolerable? Maybe. But beware if she plays a sport other than football or basketball. Scholarship awards tend to be lower in other sports—on average just $8,700. It might be better to work at Starbucks, with its generous tuition reimbursement benefit, than to devote a huge portion of college life to sports in exchange for what amounts to just a paltry $7.25 per hour. 3. The truth about sports scholarships: Athletic scholarship money isn’t guaranteed for all four years. Athletic scholarships must be renewed each year, and renewal is at the coach’s discretion. At any point the coach can say, “Sorry, you’re off the team and the scholarship is revoked. You’ll need to find an alternate way to pay your college bills.” The pressure to perform in order to keep the athletic scholarship can be difficult to bear. 4. The truth about sports scholarships: Your kid could lose it all due to a repetitive stress injury. For too many student athletes, the grueling practice, conditioning, and game schedule leads to career-ending injury. When that happens, the athletic scholarship is revoked—and your family could get a huge bill stamped “DUE NOW.” Parents receiving these bills may feel extraordinary pressure to just quickly cosign private student loans to keep the kid in college. For details on why you should do everything in your power to avoid cosigning student loans, read the article I’ve written here. 5. The truth about sports scholarships: Restricted academic choices can mean big problems with future career options. Recently a mother wrote to me about her son, who loves sports and “definitely wants to play in college.” She said to me, “He does need to line up his expected major with a school team that wants him.” Really? So if this boy is an ideal fit for a future career as an air traffic controller, he should still go to a college that doesn’t even have that program—just because the college promises to put him on a sports team for a few years? Or here’s an even more disheartening situation. I understand that your kid loves sports, but the primary goal of college is to prepare for future career. Never lose sight of that. 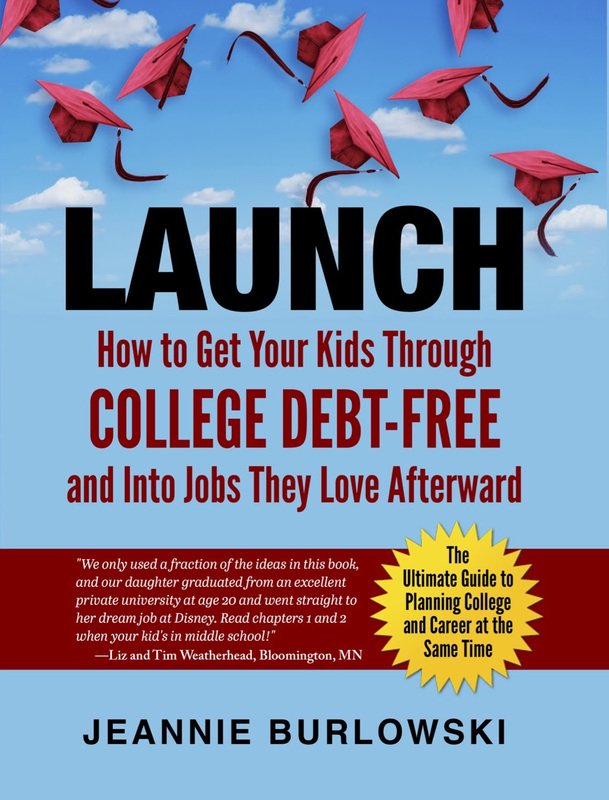 Because parents need help with this process, I cover exactly how to clarify career goal and then pick colleges accordingly in chapters 13 and 14 of my book LAUNCH: How to Get Your Kids Through College Debt-Free and Into Jobs They Love Afterward. If sports get sidelined due to attending an ideal fit college and pursing a well-thought through career goal, so be it. There are alternate ways to get involved in sports. 6. The truth about sports scholarships: College “club” sports are way-y-y-y less pressure, and often a whole lot more fun. Your child loves volleyball, and is determined to play volleyball in college? The college likely has a “club” volleyball team, where students get together to play competitively, but without the stress and pressure of being involved in an official collegiate sport. There’s no scholarship money associated with playing on a club sports team, but look at the bright side. No one ever requires a club volleyball student to miss an Organic Chemistry final in order to play in a game. 7. 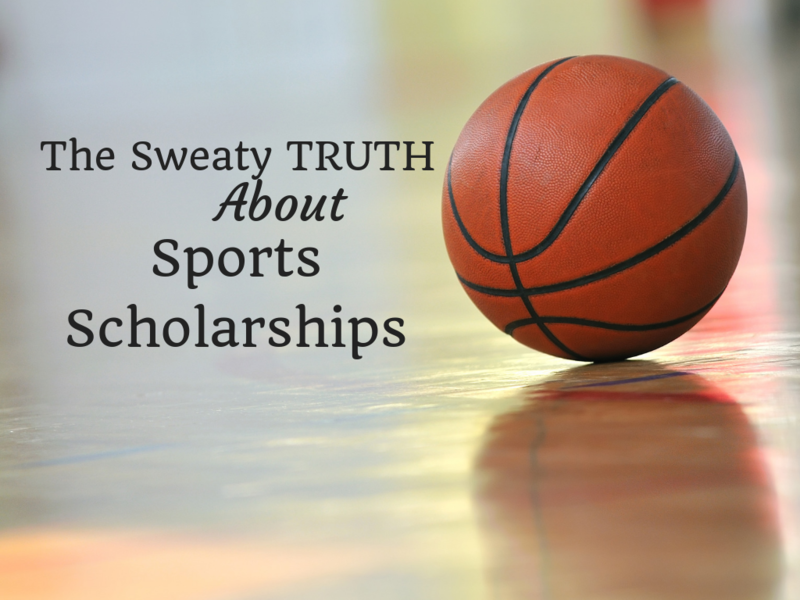 The truth about sports scholarships: It’s far easier to get an academic or merit aid scholarship than it is an athletic one. Don’t fall into the trap of believing that academic and merit aid scholarships are only for straight A brainiacs with perfect test scores. Merit aid scholarships can be earned by ordinary students, if their parents will strategize the path to that goal early on. The following helpful infographic was provided by the Ohio University. Find the original article here. The above infographic was provided by the Ohio University. Find the original article here. If you’ve found valuable info in this article, please help me by tweeting it out to the people who follow you. What are your thoughts about sports scholarships? What has your experience been? Comment below or LIKE Jeannie Burlowski Author on Facebook, find this post on that page, and let’s talk about it there. Jeannie is a full-time author, academic strategist, and speaker. Her writing and speaking help parents set their kids up to graduate college debt-free and move directly into careers they excel at and love. Her work has been featured in publications such as The Huffington Post, USA Today, NerdWallet, and US News and World Report.